Alessandra Tonazzi is the Director of International and European Affairs at the Italian Competition Authority (ICA). Her present role involves representation of the ICA in international fora (ICN, ECN, OECD and UNCTAD), the promotion of international cooperation with other competition agencies through multilateral organizations and bilateral agreements and the management of the Authority's international projects, including technical assistance programs on competition policy and enforcement and reviews of national competition laws and policy. From October 2012 to April 2013 she was seconded to the Competition Division of the OECD where she worked on the OECD strategic project on International Enforcement Co-operation and contributed to the Secretariat Report on the OECD/ICN Survey on International Enforcement Co-operation. She currently co-chairs, on behalf of the Authority, the International Competition Network Unilateral Conduct Working Group, leading and managing projects on competition policy and enforcement. 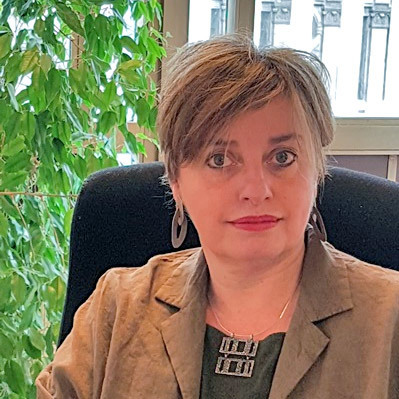 In March 2018 she has been appointed ICN/UNCTAD liaison by the ICN Steering Group to coordinate the work of the two organizations. She previously co-chaired the ICN Advocacy and Merger Working Groups. She coordinates the Joint ICN-WBG Advocacy Contest for Competition agencies. Prior to the appointment to her current position, she worked as Senior Competition Policy Expert in the International Affairs Unit and as economic advisor to one of the Authority's Board Members, providing analysis on competition policy issues and cases. She had previously worked in the Media and Telecommunication Investigating Directorate of the Authority since 1991. She authored several articles on antitrust issues and regularly speaks at national and international conferences on competition law and policy. She holds a PhD in Economic Analysis from the University of Rome and a MSc in Economics from Warwick University. She graduated in Law and Economics from the University "La Sapienza" in Rome. Competition policy and the commercialization of sport broadcasting rights: The decision of the Italian Competition Authority, in International Journal of the Economics of Business, Volume 10, Number 1, February 2003.